One hundred years have passed since the beginning of the 20th century, the heyday for revolutionary unionism. It is no coincidence that this time was also the high point of workers’ struggles, both to win basic rights and for the revolutionary transformation of society. There’s no need to list here the profound changes that our planet has experienced in these hundred years in every aspect: human, social, and environmental. Some of these transformations have been especially relevant for anarcho-syndicalism and revolutionary unionism at a global level. For one, the vast majority of organizations that described themselves, in some way, as “revolutionary” ceased to do so. Most labor unions and political parties as well as organizations of all kinds adapted themselves to the prevailing political situation after the fall of the Berlin Wall. The word “revolution” disappeared from their vocabularies. They dropped from their practice, inconspicuously, the aim of profoundly and radically changing society. They became, at best, alternative models for managing the already existing systems. At the same time, the mere possibility of such a radical transformation disappeared from the collective imagination to such an extent that, at the beginning of the twenty-first century, there was a need to remind ourselves that “another world is possible”. And this self-evident truth seemed then to be the peak of revolutionary radicalism. More recently, the prevailing political discourse has gone even further in this direction. Ever since the capitalist system established itself worldwide, it has been accompanied by and relied upon patriotism, racism, xenophobia, and isolationism. The global crisis of capitalism has worsened this situation. It is true, of course, that these were always present, lurking beneath the surface of Western societies. But in recent years they have gained respectability and have become plausible options for government, in a way that would have been unthinkable a decade ago. This phenomenon seems to repeat itself. Unscrupulous politicians and demagogues have periodically used it for their own ends. But we had not, for many years, seen this kind of discourse gain such global predominance. Finally, the unstoppable growth of capitalist structures of production and consumption has brought the planet to the brink of ecological collapse, if indeed we have not already plummeted over it. One hundred years ago, anarcho-syndicalism and revolutionary unionism could place certain hopes in the development of productive forces. Now, in contrast, they face the prospect of dwindling natural resources. Clean air and water are unreachable privileges for millions of people. The tensions associated with ecological disasters, those already happening and the foreseeable ones, spell decades of conflict, of wars for mere survival with no quarter given, in an increasingly hostile environment. Of course, we could list more factors. But just these three are already enough to present a harrowing prospect, radically different from the prevailing expectations when past internationals were born. The combination of these elements is explosive. It calls up images of a dystopian world of sealed borders, wars over resources, aggressive militaristic nationalism, intolerant conservatism, famines, etc. Faced with the old slogan “revolution or barbarism”, it appears that once revolution has been left by the wayside, barbarism is coming. However, and precisely because of all of this, we, the organizations that have come together to give shape to this new international, who call ourselves revolutionary unionists and anarcho-syndicalists, resolutely stand for the need of revolutionary internationalism, today as much as ever before. Revolutionary, because we will not give up on solidarity and mutual aid as instruments for a radical and profound transformation of society. And internationalist because, while so many countries are withdrawing within their own confines, we assert yet again the bonds that bring us together, across borders and nations. We today refer to these same prerogatives that gave life to the anarcho-syndicalist international founded in Berlin in 1922 and to its principles. Only the global development of a strong alternative, today as then based on these principles, can possibly reverse the destructive course that we find ourselves on and prevent our descent into absolute barbarism. Perhaps it is necessary to stress, in this moment in history when this kind of declarations is not very fashionable, that our commitment to these two principles, revolution and internationalism, is not just empty rhetoric. Our firm intention is to build and develop a revolutionary international, starting from the bottom, based on strong local foundations. That is to say, we understand “internationalist” and “revolutionary” not to be distinctions that can be granted merely by belonging to some organization. They are not truths which once existed that someone can administer, but rather realities that must be practiced daily on the ground. Local revolutionary struggles coming together across borders is what builds internationalism, and not the reverse. This organic, decentralized, and federalist convergence should seek to provide itself with the tools necessary to be effective, explore new content and forms, and strengthen the local organizations that participate in it. From it arises the need for a formal international in which the localized revolutionary activity of the member organizations shapes internationalism. It is clear that if this body is not based on the activity of firmly established member organizations, with clear revolutionary programs, any purported internationalism could be nothing more than an empty shell, managed from the top down. We, the member organizations of this international, know very well that unionism in the sphere of production and reproduction is not the only front that is necessary to build a revolutionary movement. Halting and reversing the course towards disaster that this system has set us on is a complex and multi-faceted undertaking. It can be approached from many angles since social transformation is a goal that presupposes and also includes a cultural change. From agroecology to self-managed cooperatives, anti-fascism, the struggle against patriarchy in the sphere of reproduction, and supporting refugees, to the liberation and sharing of knowledge in the field of education – there are too many approaches to list here. All of them together will create, in a decentralized fashion, an alternative. We intend to do our part, contributing some sound and serious work in our area and remaining open to cooperating and coordinating with other forces working in the same direction. The gamble is great. If there ever was a promise of liberty, equality, and solidarity, what remains of it seems to be rapidly vanishing. It is a terrifying prospect. The ruling class will not offer an alternative. We, the working class, need to build one ourselves or there will be no future. Periods in history are very long, true, but we cannot allow opportunities to pass us by indefinitely. The time to build a strong consistent revolutionary internationalism is now. There may not be a next time. For our part, we, each one of the members of the anarcho-syndicalist and revolutionary unions in this international, are committed to giving our best efforts to this process. We are confident that it will be enough for the huge task we are taking on. The future is ours. We are the future. Long live the international! 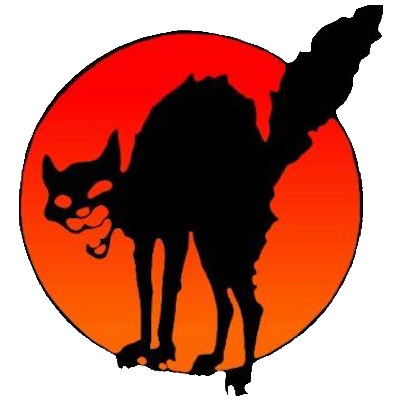 1.1 The International Confederation of Labor (ICL) is an international federation with a global scope, composed of anarcho-syndicalist and revolutionary unions, defined by its principles and its Federative Agreement. 1.2 The ICL is governed by these Statutes, in the version approved at its most recent Congress. 2.1. The member organizations of the ICL share a set of undeniable principles, considered to be essential for creating the possibility for any truly significant social and economic change, and are committed to uphold these principles in their actions, both at the local and international levels. – Anarcho syndicalism and revolutionary unionism: The member organizations of the ICL define themselves as anarcho-syndicalist unions and/or revolutionary unions, in consideration of historical and cultural peculiarities of the different geographic regions. That is to say, they are syndicalist organizations that are involved principally, but not exclusively, in the realm of labor, with an ultimate revolutionary goal. It is thus understood that their activities are directed towards or strive for the transformation of the dominant economic model of production and consumption, in order to make it respond to the needs of the population at large, in accordance with criteria of equality, sustainability, and inclusion, among others, and the rest of the principles set forth in these Statutes. Each member organization of the ICL will define within their sphere of activity the tactics and strategies that they consider most suitable to pursuing this goal. As a consequence of all of the above, the ICL defines itself as revolutionary unionist and anarcho-syndicalist, because these are precisely the characteristics of the organizations that make it up. – Solidarity: The main tool for achieving a revolutionary transformation of society and the key element of anarcho-syndicalism and revolutionary unionism is solidarity, understood as mutual aid among all working people towards each other. In the context of the ICL, this translates as the willingness of all of the member organizations to support the efforts of any of the others in the process of revolutionary transformation, in the manner and at the time requested by the organization requiring support. However, it can sometimes be difficult to express this solidarity in practical ways, due to barriers of language, geography, or any other kind. The member organizations of the ICL state their commitment to explore all possible forms of expressing this solidarity, not merely by carrying out one-time, occasional acts of solidarity but by developing collaborative work dynamics that can effectively reinforce the activity of the member unions at the local level. – Class struggle: As stated above, with their activities the member organizations of the ICL seek to end the present economic system of production, reproduction, and consumption. This is essentially based on exploitation and profit maximization. It thus stands in the way of the interest of the workers. Consequently, employers cannot become members at any level of the organization. – Internationalism: The member organizations of the ICL affirm the need for active solidarity between all workers, independent of their nationality, place of birth or residence, legal status, ethnicity, beliefs, gender, or sexual orientation. Thus, in accordance with the principles already laid out, their desire is to extend solidarity to all members of the working class wherever they are found, across the barriers that artificially separate them. This drive for internationalism is expressed in the very creation of the ICL as a tool to make this solidarity more effective across borders and in spite of them. – Horizontality: The member organizations of the ICL are internally organized in a horizontal, non-hierarchical manner, with decision-making processes starting from the bottom. The exact way this is put into practice in each case depends, of course, on the organization in question. This principle of horizontality is reflected in these Statutes, so that the decision-making power resides in each person affiliated with the member organizations of the ICL, through a decision-making process starting from the bottom. Thus, all of the administration and facilitation positions considered in these Statutes are irrevocably subject to a mandate from the corresponding stage in the decision-making process. – Federalism: To respect this horizontality and the autonomy of the member organizations of the ICL in their respective spheres of activity, the ICL will operate according to federalist principles. The member organizations will be bound by the Federative Agreement, which defines the minimum criteria that all members must uphold in their actions, but also confirms the autonomy of the member organizations in all other questions beyond this agreement on minimum standards. In consequence, the ICL will adopt the form and function of a federation. – Independence: To ensure scrupulous respect at all times for the principles laid out in this article, and to ensure that all of the member organizations act only in response to the interests of their members and with the goal of the revolutionary transformation of society, it is necessary that these organizations and the ICL itself maintain their independence from any possible conditioning by external forces. The ICL will have no sources of funds beyond the dues paid by each of its member organizations in the amount set forth in these Statutes. For the same reason, the ICL does not take part in elections for representative bodies. Its member organizations should also not take part in such elections, whether they relate to politics or labor unions. In order to remain independent from the state, the involvement of individuals belonging to the repressive forces of the state (unless conscripted) and of private enterprises is prohibited on all levels of the ICL. 3.1. In accordance with the above point on federalism, the ICL shall have a Federative Agreement, or an agreement on minimum criteria, which lays out a series of conditions that the member organizations or prospective member organizations must comply with. 3.2 While the principles are undeniable, and are generally and globally relevant, the more concrete points in the Federative Agreement can be conditioned by the specific frameworks for unions and labor law in the areas where the member organizations or prospective member organizations of the ICL are active. That is to say, certain points could be redundant and unnecessary, others inadequate, etc. It is impossible to adapt the Federative Agreement in advance to every possible legal and labor context. For this reason, the context and situation should be taken into account in detail when requiring and interpreting compliance with the Federative Agreement. 3.3 Interpreting the Federative Agreement, in particular issues of compliance and applicability in concrete situations and contexts, is the responsibility of the member organizations of the ICL in accordance with the decision-making process described in the corresponding article of these Statutes, either by referendum or in Congress. This cannot be done by the Secretary nor by the Liaison Committee on their own. In every case where the Federative Agreement needs to be interpreted, attention should be paid to the criteria described in the article about the association of new organizations, even when the issue does not involve an application for membership. – Any organization that joins or wishes to join the ICL must be an anarcho-syndicalist or revolutionary union. – Its internal structure should be federal and horizontal, and the internal decision-making process should start from the bottom. – It may not provide support as an organization to any electoral political project, either individual or party-based. – With respect to union elections, in countries where these are carried out, the member organizations should reject participation in any body, organization, election or negotiation process, government entity, or structure which does not respect the principle of horizontality. That is to say that these are configured as elements of co-management of a company and do not act under a mandate and in the interests of workers. – No individual who voluntarily joins repressive forces, state or private, may join or be in any other way included in any member organization of the ICL. – To maintain the principle of independence, in those countries where this is a possibility, no member organization of the ICL may receive economic subsidies, either public or private, for union activities that are being realized or developed. 4.1 All those anarcho-syndicalist and revolutionary unions who request membership may form part of the ICL as long as they meet the conditions laid out in the Federative Agreement. 4.2 Because of its federalist and internationalist methodology, the ICL is not governed by the logic of states, nor does it recognize in its structure the artificial divisions of borders. For this reason, there can be more than one Section per country. In such cases, the substantiated opinion of an organization already adhering to the ICL in that country will be taken into consideration, although this will not constitute a veto. 4.3 In the same way, a Section could have a sphere of activity that includes more than one state. 4.4 The minimum number of individual members in order to be a Section of the ICL is 75 individual members. 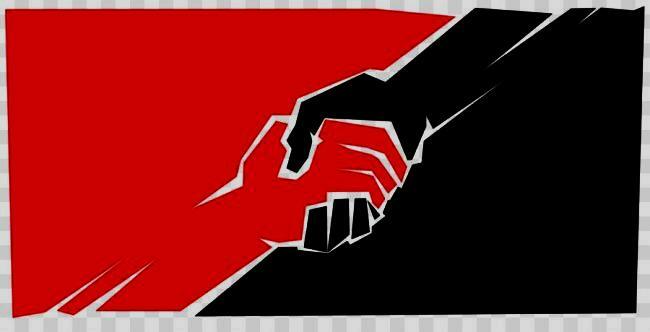 4.5 Anarcho-syndicalist or revolutionary unions that are organized in line with the Federative Agreement but do not have this minimum number of individual members may join the ICL as Friends. 4.6 Groups that are not established as anarcho-syndicalist or revolutionary unions but express a desire to establish an organization in line with the Federative Agreement and collaborate with the ICL for that purpose may do so as Initiatives, independent of their number of individual members. – receive economic aid from the solidarity fund when they request it, in the manner set out for the administration of that fund. The organizations that collaborate with the ICL as Initiatives can and should contribute to the effort of expanding the organizing model of the ICL and achieving its goals, based on their capacities. As the Initiatives pay no dues, they do not have the right to draw on the solidarity fund as Sections and Friends do. However, they can request aid and this will be assessed on a case-by-case basis. – A request for membership in the ICL, specifying if membership is requested as a Section or as a Friend, the number of individual members, and the geographic sphere of activity. – A commitment to accept the principles of the ICL and a declaration of agreement with and consent to the Federative Agreement of the ICL, indicating, if relevant, any aspects of the Federative Agreement they consider to be inapplicable due to geographic, cultural, legal, or labor-related circumstances, and their reasoning. – A copy of their current statutes. 4.8.2 If the Secretary and/or the Liaison Committee find formal errors in the application or deem it incomplete, they will return it to the organization to correct the errors or provide the requested information within a period of three months; otherwise, the request for membership will be considered withdrawn. 4.8.3 The Secretary, through the Liaison Committee, will send the applications received to the Sections and Friends of the ICL within a period of three months after they are received, accompanied with a report on the organization’s observance of all of the membership conditions or, if relavent, any inconsistencies or anomalies detected. In particular, the report will make mention of the specific features of the geographic, cultural, legal, or labor-related circumstances that might be behind a lack of adherence with particular points of the Federative Agreement. 4.8.4 Along with this report, the Secretary will also call for a referendum among the Sections and Friends of the ICL, in accordance with the provisions on referendums, so that they can decide whether to accept the new organization. 4.8.5 The evaluation of the potential member organization’s compliance with the points of the Federative Agreement falls exclusively upon the member organizations of the ICL through referendum. It cannot be carried out by the Secretary or the Liaison Committee on their own. When making this evaluation, the criteria should be one of maximizing the transformative potential of the relevant union system in each case. That is to say, the extent to which the potential member organization has been able to develop or put forward an alternative and transformative union model, in a revolutionary sense, within their sphere of activity. 4.8.6 If the organization is accepted for membership, it will be admitted as a Section or Friend of the ICL with full rights effective immediately, without the need for a waiting period. The admission has to be ratified at the next Congress. During the first six months, it will have a single vote until an average of its dues paid to the ICL can be calculated, after which time it will have the number of votes corresponding to its average dues, according to the current system of voting. Additionally, it will provide the corresponding participants to the Liaison Committee and the relevant work groups. 4.8.7 In the case that the organization is not accepted, the Secretary will communicate this to the applying organization, providing the reasoning behind the refusal. The applying organization may attempt to correct the reasons for which they were rejected within a period of six months and re-apply for membership to the ICL, explaining the corrections. 4.9.1.1 By their own will, in which case they should inform the Secretary and the Liaison Committee of their decision. They will leave the ICL immediately upon reception of this communication by the Secretary. 4.9.1.2 Due to failure to pay dues for more than one year. In this case, once this period has expired, and if the organization in question has not submitted a request for exemption from dues in accordance with the provisions on exemptions from dues, resolved or not, the Secretary will call upon the Section or Friend to pay the outstanding dues within a period deemed reasonable by both parties, or they will be expelled from the ICL. The Secretary may grant a deferral of at most six months. Once this deferral has elapsed, the Secretary shall initiate a referendum as to whether another six month deferral can be granted. The Section in question may pay the outstanding dues, accept expulsion, or request an exemption from dues, in accordance with the provisions on exemptions from dues. In the case that the exemption is not approved, the Section that requested it should pay the outstanding dues or accept expulsion. – theft, fraud, or expropriation of the assets of the ICL. 4.10.1 Any Section of the ICL may request the expulsion of any other Section or Friend of the ICL for any of the reasons listed above. Friends, the Secretary, and the Liaison Committee may not request an expulsion. 4.10.2 To do so, the Section requesting expulsion must send the Secretary and the Liaison Committee a proposal listing the violations that form the basis for the request, along with any evidence to substantiate this request. 4.10.3 The Secretary and the Liaison Committee will send this request to all of the Sections and ask the Section that is the object of the request for expulsion to respond to the request within a period of one month. This response will be sent to all Sections, and will be the only documentation sent out with respect to the matter. 4.10.4 Once the response has been received and forwarded, or if it was not received before the deadline, the Secretary will organize a referendum on the question, in accordance with the provisions on referendums. 4.10.5 If the expulsion is approved, it will be effective immediately. 4.10.6 The expelled Section or Friend may appeal the decision within a period of one month, as long as the appeal is sufficiently justified. When the appeal is received, the Secretary and the Liaison Committee will send it to all Sections and Friends and call a referendum on the question, in accordance with the provisions on referendums. The outcome of this referendum must be ratified by the next Congress. 4.10.7 After a second referendum, the decision will be final and there will be no room for further appeals. 4.10.8 In the case of a split within a member organization, the next Ordinary Congress decides whether one, both or none will be a Section of ICL. The member organizations of the ICL are autonomous, and establish their own goals, strategies, tactics, and plans of action, with no limits beyond respecting the Federative Agreement of the ICL. 5.2.1 Out of respect for the federal principle that governs the ICL and its Federative Agreement and as an expression of the strict autonomy of each Section, the Sections can establish tactical or strategic relations, with whatever scope they deem appropriate, with whichever organizations outside of the ICL that they deem fit. 5.2.2 In turn, the ICL can make contact, cooperate, and collaborate with whichever organizations in the international context that it deems fit or necessary for the defense of its interests and to promote its principles, always respecting, of course, the Federative Agreement. It does not matter if this is proposed by a Section, Friend, or neither, nor if the organization being contacted is an Initiative or not. 6.1 In the ICL decisions will be made by consensus of all Sections and Friends whenever this is possible. 6.2 To facilitate this objective, when Sections or Friends make two or more different proposals on the same subject, a Reconciliation Committee will be formed. This will consist of, at least, delegates from each of the Sections or Friends that presented the proposals. The Committee will draft a consensus text that contains all of the points of agreement among the different proposals, any points of consensus reached by the delegates in the Committee based on the mandates from their organizations, and that highlights the irreconcilable differences between the proposals, to be voted on by the Sections. 6.4 The number of dues-paying individual members referred to above will be calculated by averaging the dues paid by each Section over the 6 months prior to the vote. 6.5 Once the voting has been carried out, a resolution is passed if 2/3 of all votes cast are in favor. That is to say, abstentions will count toward the total votes. 6.6 At the request of at least three affiliated organizations, an international agreement can be reviewed through a referendum. 6.7 Through a decision of the national congress or a referendum, a Section can reject ICL Congress agreements or referendum decisions. 6.8 Friends of the ICL cannot participate in the voting. 7.1 The Congress of the ICL will be made up of all of the Sections and Friends of the ICL. It is the highest decision-making body of the ICL. 7.2.1 To plan the strategic line of the ICL. 7.2.2 To carry out an analysis of the international situation, in all of its relevant aspects. 7.2.3 To clearly define the areas and lines of work of the ICL for the period between Congresses. 7.2.4 To set the general objectives of the ICL in its different work areas and to set priorities among them. 7.2.5 To provide a mandate to the Secretary and the Liaison Committee to carry out the necessary tasks to achieve those objectives. 7.3 The agreements and decisions adopted during the Congress are binding for all the member organizations, the provision included in article 6.7 providing the only exception. 7.4 The Secretary will call the Ordinary Congresses of the ICL every five years. The Secretary will announce the Congress early enough to give a period of three months to submit proposals for the agenda. These proposals should come from the Sections, and be accompanied by an explanation. Once this period has passed, the Secretary will set the agenda for the Congress using these proposals, which will act as base proposals. A period of six months will follow when counter-proposals, amendments, and comments to the base proposals can be sent by the Sections. 7.5 In the same first announcement of the Congress, the Secretary will call a referendum on the date and location for the Congress, in accordance with the provisions on referendums. – all documentation relevant to the matter. The Secretary and the Liaison Committee will send this information to all of the Sections and Friends of the ICL and call a referendum on the necessity of holding the Extraordinary Congress, in accordance with the provisions on referendums. 7.7 If the request for an Extraordinary Congress is approved, the Secretary will proceed to organize it, following the process for Ordinary Congresses but adapting the time line to the urgency of the Extraordinary Congress. 7.8 The Section that made the initial call for an Extraordinary Congress is obligated to host it. 7.9.1 All of the Sections and Friends of the ICL will participate in the Congress. Sections and Friends can present papers, table motions, and participate in decision-making based on consensus and in the work groups or committees created in the Congress, according to their capacities. The Sections may also vote in accordance with the current system of voting for each Congress. 7.9.2 The Initiatives of the ICL can attend the plenary sessions of the Congresses and meetings of work groups or committees created in the Congress, if invited. 7.9.3 All those organizations and/or groups invited as observers can attend the plenary sessions of the Congress. Invitations to the Congress for observer will be sent by the Secretary at the initiative of the Sections and Friends. 7.10 The Congress is made up of the delegations sent by the different Sections and Friends. The delegations are to come with two copies of the agreements of their respective Sections in writing (one copy for the delegation and the other for the chair). These are the Direct Delegations. 7.11 Sections and Friends can also send their agreements in writing to the Secretary before the Congress begins, or give their agreements to a delegation that will be present. In this case, they would be Indirect Delegations. 7.12 The Direct Delegations may interpret the agreements of their Sections based on their understanding. They can negotiate with the other delegations present in search of consensus. To this end, it is recommended that the agreements of the Sections and Friends for the Congress specify in as much detail as possible the limits of their delegations’ capacities for negotiation. 7.13 The agreements of the Indirect Delegations may only be read as they are. If there are any doubts as to the interpretation of these agreements, they will not be included in any consensus that may be reached on the point in question. The Indirect Delegations will also have no voice on questions or votes that arise during the Congress. 7.14 The Congress agreements are to be reached in accordance with the article on decision-making. 7.15 The Congress sessions will follow the agenda. At the beginning of each session, the Sections present will elect participants to chair the Congress. The opening session of the Congress will be opened by the Secretary who, after verifying which delegations are present, will open the Congress and pass immediately to the first item: The election of participants to chair the meeting (a chairperson, a recorder, and someone to make a speakers list) from among the delegations present. 7.16 Once the Congress is finished, the Secretary will send the minutes of the sessions and a summary of all agreements reached at the Congress to all of the Sections within a period of three months. Once the minutes and agreements have been sent out, Sections will have three months to challenge those agreements. These challenges, if they exist, are to be resolved through a referendum, which is to be called immediately after the period for accepting challenges, in accordance with the provisions on referendums. Once any challenges have been resolved, the Secretary will publish the agreements from the Congress. 8.1 The referendum, or a consultation of the Sections and Friends of the ICL, will be the standard method of reaching agreements in the ICL between Congresses. 8.2 Referendums will be called by the Secretary at the request of any of the Sections or Friends, or automatically in the cases stipulated in these Statutes. – the concrete proposal or consultation. 8.4 The Secretary and the Liaison Committee will forward this full request to the rest of the Sections and Friends within a maximum period of three months, calling the referendum and asking the Sections and Friends to express their opinions with respect to the referendum in a period that is no greater than six months from the date that the original request was submitted. 8.5 The Secretary and the Liaison Committee can and should submit to referendum all those questions, proposals, or consultations that exceed the mandate they have received from the Congress, or those where they require clarification from the Sections and Friends, following the procedures outlined above. 8.6 The decision with respect to the referendum will be reached in accordance with the article on decision-making. 8.7 For improved internal efficiency, the Secretary can group together all proposals or consultations made in a period of six months. 9.1 The Secretary of the ICL is the legal representative of the ICL. 9.2 This office will be held by one of the members of the Liaison Committee from one of the Sections of the ICL. It will rotate every two years with no extensions. That is, every two years the office will be assumed by an individual member of the Liaison Committee from a different Section. 9.3 The system of rotation will be established at the Congress. It will be valid for the period until the next Ordinary Congress. 9.4 Once two years of office have been completed, the Secretary will automatically step down and be immediately replaced by the next Section in the rotation. – any other task assigned by these Statutes. 10.1 The Liaison Committee of the ICL is to be made up of one representative of each of the Sections and Friends of the ICL. 10.2 This person is to be selected by the Section or Friend from among its individual members and may or may not be its international secretary, if it has one. The individual member assigned to the Liaison Committee can be replaced at any time by their own Section or Friend at its own discretion. 10.3 The Liaison Committee can create as many subcommittees and work groups as they consider necessary, in which case the Sections will decide the best way to organize them. The subcommittees and work groups can include individuals who are not part of the Liaison Committee. 10.4 The members of the Liaison Committee do not represent the organization they belong to, but rather the whole of the ICL. All of their actions should be guided by the principle of respect for the agreements of the ICL, independent of the position of their Section. They must carry out the internal agreements of the ICL just as they have been decided on during the decision-making process. – To ensure the flow of communication and facilitate collaboration among the Sections and Friends of the ICL, both bilaterally (directly between individual organizations, autonomously) and between each Section or Friend and the ICL as a whole. – To carry out the agreements of the Congresses and referendums, to develop the ICL’s lines of work set out at the Congress, and to achieve the goals determined at the ICL’s Congress. – To ensure all internal documents of the ICL are sent to the Sections and Friends in their corresponding language, through translation. For this task, the Liaison Committee may appoint as many individual members as are deemed necessary. – Any other task necessary for the day-to-day facilitation of the internal affairs and the coordination of the structure of the ICL. – To report, in general, to the Secretary and to the rest of members of the Liaison Committee the general opinions prevalent in their respective organizations or opinions expressed or decisions taken by their organizations in their internal votes, so that the Secretary and the Liaison Committee can act in a manner that is as respectful as possible of the positions of all of the member organizations of the ICL. – To submit to referendum, in accordance with the provisions on referendums, all those questions that exceed the mandate of the Congress to carry out the agreements. 10.6 The Liaison Committee is to meet as often as it considers necessary in plenary meetings, either physically or virtually. Meetings are called by the Secretary or by one third of the participants. The agendas of these meetings are to be drafted by the Secretary, as coordinator of the Liaison Committee. The agenda will include all of the proposals of the members of the Liaison Committee and any matters entrusted to them by a prior Congress or referendum, should there be any. 10.7 Decision-making in the Liaison Committee, in all cases, is to take place in accordance with the provisions on decision-making in the ICL. 11.1 The Treasurer of the ICL will be elected at the Congress. They will manage the treasury for the period between two Congresses. 11.2 Once this period has passed, the position may not be extended. A new Treasurer shall be elected at each Congress. 11.3 The Treasurer’s duties include everything relating to the finances of the ICL. They will be in charge of its bank accounts. 11.4 The Treasurer and the Secretary will be the two individuals jointly authorized to disburse the funds of the ICL, in accordance with the instructions of the agreements and the directions of the bodies of the ICL at all times. 11.5 Among the Treasurer’s duties is calculating the average numbers of dues-paying individual members of the Sections, in order to allocate votes before any vote is to be held. 11.6 The Treasurer is responsible for all work related to the dues for the ICL. 11.7 The Treasurer reports to the Secretary and Liaison Committee every six months. The Secretary or any Liaison Committee member can request a report at any time. An audit will occur at the midpoint of their term and a final audit will occur after a Treasurer has completed their five-year term. It is performed by a commission of at least two people who are not part of the Liaison Committee and who should belong to different member organizations. 11.8 The Section to which the Treasurer belongs may replace a Treasurer from their ranks at any time. They must provide the replacement. The Treasurer can be recalled by a referendum, which can be initiated by a Section or the Liaison Committee. 12.1 The only source of funding and income for the ICL is to be the contributions in the form of dues paid by the Sections and Friends of the ICL. The Congress shall decide which category is appropriate for each Section, based on the economic situation of the workers in the country. A Section may voluntarily choose to pay higher dues. The monthly dues are set based on a three tier systems in every Ordinary Congress for the next five years. If a Section has a union of incarcerated workers, no monthly dues are owed for the incarcerated workers. 12.2.1 The Sections and Friends of the ICL are to make their payments to the Treasurer of the ICL at periodic intervals of their choice, but at minimum once every year, based on the realities of their membership. 12.2.2 Partial exemptions from dues can be requested in exceptional cases for a predetermined and limited period. In order to do so, a substantiated proposal should be sent to the Secretary or to the Liaison Committee specifying the exceptional circumstances behind the request for exemption from dues, the duration of the exemption, and the amount by which they propose to reduce the dues. This proposal will be put to referendum, in accordance with the provisions on referendums. 12.3 A solidarity fund is to be created from a significant proportion of the dues, to be determined in Congress. 12.3.1 The Sections or Friends who so desire or require may request economic aid from the solidarity fund in “ordinary cases” for concrete projects by sending a substantiated request to the Secretary or Liaison Committee, specifying the project, the necessity of the economic aid, the amount requested, and any commitment to repay the aid, partially or fully, should they choose to make one. The Secretary ask the Treasurer to report on the viability of the proposal and will send both documents to the member organizations and call a referendum, in accordance with the provisions on referendums. 12.3.2 In no case may the combined sum of the ordinary economic aid granted exceed 50% of the total solidarity fund at the time it is granted. 12.3.3 In the case of ordinary economic aid, priority will be given to projects and requests that contribute to the development of the objectives and the lines of work of the ICL, in accordance with the decisions made at the Congress. 12.3.4 Any Sections and Friends that so desire or require may request economic aid from the solidarity fund for “extraordinary cases” where funds are required urgently. In these cases, the Secretary and the Liaison Committee can decide, in accordance with the provisions on decision-making in the ICL, to immediately grant the sum requested. – situations of exceptional repression. 12.3.6 In no case may the combined sum of the extraordinary economic aid disbursed exceed 50% of the total solidarity fund at the time it is granted. 12.3.7 In all cases, the requested economic aid can be in the form of one-time payments or periodic payments. 12.3.8 In all cases, the economic aid that is granted can cover the entire quantity requested or only a part, depending on the availability of funds, after consultation with the Treasurer. 12.3.9 Initiatives can also request economic aid from the solidarity fund, in the manner described above. 13.1 The ICL will locate its headquarters at the headquarters of the Section currently acting as the Secretary, notwithstanding the fact that a change of headquarters can be agreed upon through any internal vote of the ICL. 14.1 The dissolution of the ICL can only be decided at a Congress, which will also determine what to do with the assets of the ICL. The ICL will not dissolve itself as long as at least three Sections stand against the dissolution. 15.1 In case of any discrepancy between the official versions of the text of these Statutes in different languages, the English text will be the authoritative version.